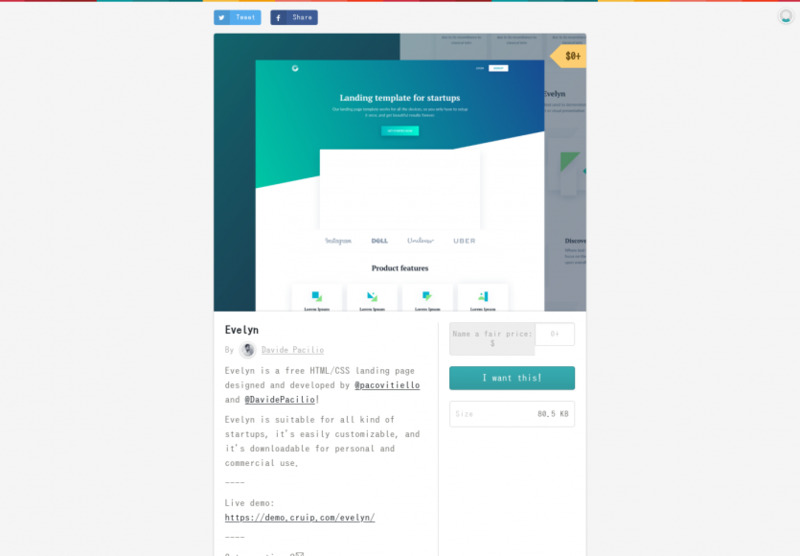 Evelyn is a free HTML/CSS landing page designed and developed by @pacovitiello and @DavidePacilio! Evelyn is suitable for all kind of startups, it's easily customizable, and it's downloadable for personal and commercial use. ---- Live demo: https://demo.cruip.com/evelyn/. ---- Got questions?ð. [email protected] / [email protected] ---- This template is distributed under the GNU General Public License, version 3 (GPL-3.0).